Hi! I’m Wayne G. Miller! Hello, Produce Like A Pro viewers and readers. 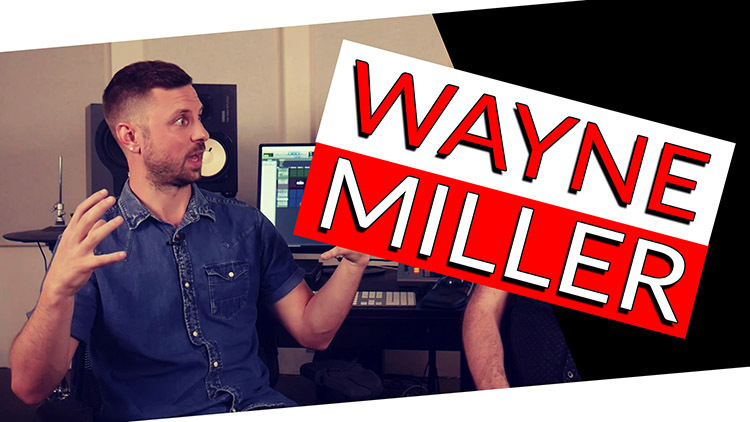 I’m Wayne G. Miller – a producer/mixer, songwriter and musical director in Los Angeles. As an MD I have worked with Christina Perri, Mike Posner, Demi Lovato, Snakehips, AlunaGeorge and many others. In the studio I’ve had the pleasure of working with some of LA’s best up and coming artists as well as writing music for TV, film and commercials. This is a bit of my journey to becoming a full-time producer and creator. I grew up in Salem, Oregon, which is near(ish) to Portland. I joke that being from the Northwest, I have a sort of internal Emo vibe that seems to make its way into my productions. In my formative years I listened to a lot of Elliott Smith, Nirvana, Beastie Boys and jazz/fusion stuff like Weather Report and Fela Kuti. By the time I was 14 years old I knew I wanted to be a music producer so after high school I moved to Portland to be a part of the cool, indie-driven music scene there. I started a studio out of the basement I lived in and began recording local bands and artists for $100/day. I had this crazy 32 channel Mackie mixer running into a 4-input sound card on a PC computer going into Cakewalk Sonar. I had it made! I spent the next 5 years playing bass in bands, touring the country, playing SXSW in 2006 and producing and mixing local artists. As fun and as fruitful as all of this was, I knew there was more out there and I wanted to take a leap. Bigger risk = bigger reward. In late 2007 a drummer friend in LA called about a bass gig for an artist on Sony Records. I flew down for the audition – didn’t tell the artist or management that I lived in Oregon at the time – flew back down for the call back, and got the gig. I was already considering a move to LA; this opportunity sealed the deal and I moved down a few weeks later. From there I toured all over the US and Asia in 2008 and 2009 while just dabbling in producing, mixing and songwriting. And while touring and playing bass helped me meet a ton of great people, I could have pushed forward more as a producer from the time I arrived in Los Angeles. If you’re considering doing something that feels risky, DO IT. Just start and the resources will show up as you need them. 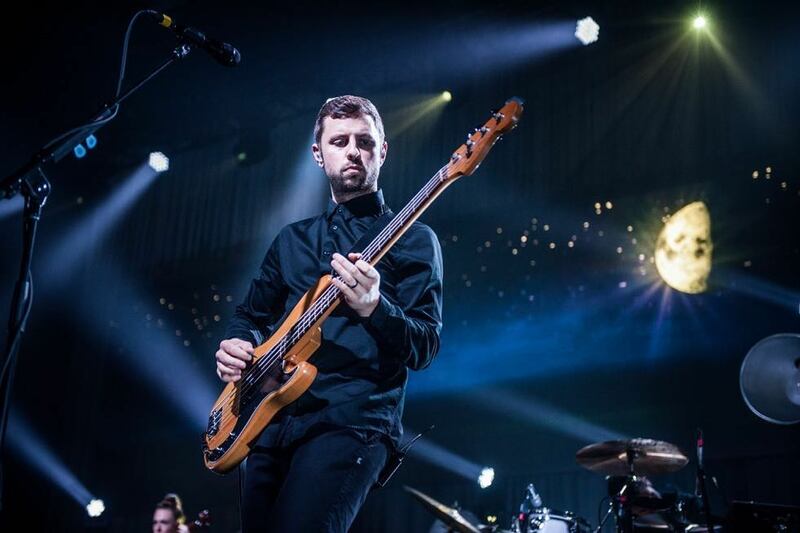 Between 2009 and 2013 I continued touring as a bass player and Musical Director. I realized that MD’ing is a lot like producing, but in the live environment. I got to perform on The Tonight Show, Jimmy Kimmel Live, The Late Late Show with Craig Ferguson and more. This was a time of huge growth, and it eventually led me to MD for Christina Perri. Christina was about to release her platinum selling single, Human, and needed some new musicians and Ableton programming for her upcoming tours. Being a part of the Christina Perri family was incredible and it also presented an opportunity to sing and play bass on a single from her second album. We spent the next two years touring the world, headlining venues like the Greek in Los Angeles and doing support for stadium and arena artists like Ed Sheeran, Demi Lovato and One Republic. One of my favorite things about working with CP was the family-like atmosphere that she created – no hierarchy. Everyone looked to serve each other and we were able to accomplish some amazing things together as a team. While I was on tour with Christina, I made a conscious effort to continue producing and mixing as much as possible. I got a huge pelican case and filled it with studio monitors, microphones, headphones and everything else needed to set up a mobile studio. I would wake up at 9am on the bus (super early for tour life), set up my rig, and mix every song I could get my hands on. I would mix for free or super cheap for other producers to keep honing my skills. Even though I couldn’t be in the room for writing sessions and production sessions, I kept at it and kept evolving. In a sense, touring was my ‘day job’ and producing and mixing was the side gig I was developing to eventually be my full time job. I’ve found that when I have less discretionary time, I’m often more productive, and this season of life was no different. I had little time, which gave me natural boundaries for working on projects. I worked smarter, not harder, which is often when I create my most inspired work. There’s a quote by Shunryu Suzuki that I love that speaks to this idea: “In the beginner’s mind there are many possibilities, but in the expert’s there are very few.” We sometimes think we need more time or more money to accomplish what we want but most often we just haven’t done enough with what we already have. When the Christina Perri album cycle finished in late 2015, I rented a studio space on Selma Ave and set up shop. I had a few shared spaces over the years but for the first time this one really felt like home. Exercising the idea of speaking something into being, I spent the final year with Christina letting people know I would be focusing on production and writing full-time after the tour cycle ended. This was a pretty big shift away from what I had been known for up until this point so I chose to intentionally communicate what I was doing and why I was doing it. A few months after the CP tour cycle ended, I began musical directing for Mike Posner. His song, “I Took A Pill In Ibiza” exploded and he needed a new live band. Working with Mike is rewarding and challenging. For instance, when he would get a new TV performance opportunity, rather than doing the same thing we always did, we would switch it up completely. For Conan, I hired a 12-piece string orchestra for an all-acoustic version and for The Tonight Show I coordinated with The Roots as Mike’s backing band. This stretched me and helped me remember that the art is always most important. It doesn’t matter that something has worked once, we are evolving and dynamic as humans and therefore our art should always be evolving and dynamic. As the Posner gig grew, we played shows all over the globe and I would bounce back and forth between mixing TV tracks in my studio while MD’ing remotely and playing bass and singing background vocals in the band. These days I spend most of my time at Selma Studios producing, writing and MD’ing. As an MD I’ll put together shows, showcases, or one-off TV performances. As a producer and mixer, I’m working with artists on singles, EPs and albums. As a writer I’m working with artists, writing for their projects and doing spec work to pitch to publishers and labels. I also write music for TV shows and commercials and have had many placements on CBS, NBC, Disney, Netflix, ABC and others. I’ve found both joy and financial sustainability in my pursuit of all these disciplines. Like most of us, I have many interests but what has really been effective for me is finding where my natural strengths fit and add value for people and then dig into those spaces. I use the same creative muscles producing or writing as I do with MD work or writing for a commercial. I’m a great arranger of people and talent so I’m always looking to be collaborative and take creative risks on every project. I also connect with everyone as a human first and as an artist, boss, or collaborator, second. Thanks for checking out my feature on Produce Like A Pro and if you’d like to connect, you can find me at waynegmiller.com or instagram.com/waynegmiller. I’ve also written a few articles over at nextlevelartists.com. Peace!